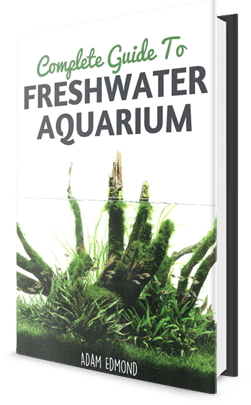 Numerous plants can be grown around the aquarium to spruce it up or provide food and shelter for the fishes. One of the lovely plants to hang in a basket over the tank is the peacock fern. 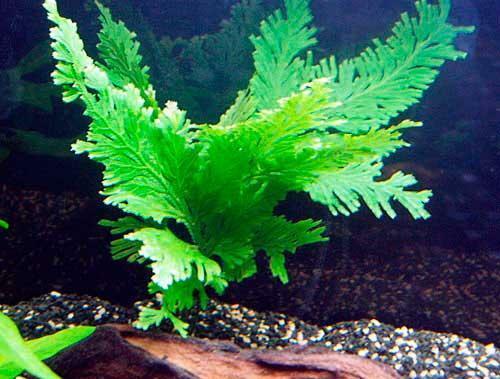 Also known as Selaginella uncinata. The fern appears colorful as it refracts light that falls onto it. Although referred to as a fern, it is not really a fern but rather a moss. With its varied colors that seem to change when there is plentiful of light, it is also referred to as rainbow moss. Grown as an undercover plant in the US and other parts of the world, the peacock fern is gaining popularity, with many people opting to include peacock fern in their aquarium setup. It does not only add beauty to the planted aquarium but gives the house lots of life too. And because of its overwhelming beauty, many people are now growing it as a garden plant or in the pot. One of the most unusual plants owing to a number of characteristics, the peacock fern, appears brilliant blue from a certain angle. When light is reflected from another vantage point, it appears to change to purple. At some point, it almost appears brown. Then when there is little light or none at all, the plant is a dark green. The leaves of the peacock fern are small yet widespread throughout the plant. They are also well cut, creating a kind of canopy or oriental carpet. This gives the plant an intricate appearance. Just as the leaves, the stem of the fern are tender and appear to be blue. When the stems are exposed to light, they turn reddish brown. Wherever they grow, they spread out, forming a wide canopy. The peacock fern rarely grows higher than a third of a meter. The peacock fern is native to Asia. Countries known to host it include China and Greater Antilles. Needs protection as it is not very hardy. It survives in most types of aquarium substrate provided there is some level of moistness. Needs a little bit of shade but may sometimes be exposed to aquarium LED light to help it grow healthy. It grows up to 30cm. Since it grows wide instead of high, it spreads along the substrates, barely getting beyond 30cm. Identify a spot in the tank that has some shade most of the day. In this case, there should be other taller plants with very wide canopy that will keep the fern sheltered and not get direct lighting. As an aquarium plant, the tank should not be placed next to a window sill; instead place the tank in the house where there is no direct sunlight. Ensure the substrate is fine and free from stones or any other substances that may inhibit its growth (plastic or metals). Add fertilizer into the substrate. One teaspoonful is just enough. Pour some more substrate onto the fertilizer so that the young plant is not placed directly onto the fertilizer. Gently place the young peacock fern into a space that is dug out inside the tank. Cover the roots and stem with fine substrate and press just a little bit to help it obtain stability. To help the plant maintain a healthy outlook, it is important to add top-dressing fertilizer once every two weeks. While doing this, ensure the fertilizer does not come into contact with the plant stem. The peacock fern can actually thrive if well taken care of. The secret is always to keep it away from strong sunshine. During the cold winter months, the temperatures can be heightened just a little bit. At least set the heating of the house to not more than 65 degrees Fahrenheit. Summer months are quite humid. Ensure the peacock fern finds sufficient shade. In case it is potted, keep the plant within the shade and only exposed to the sunshine early morning and late evening. The afternoon heat is too much for it and may cause it to burn. Remember to trim the plant occasionally. The peacock fern can have part of it uprooted and replanted again. This is best done carefully and ensure that the roots are still intact with the substrate. It should not left to spread too wide. The peacock fern grows quite slowly. Lastly, when thinking of a cute plant for your planted aquarium, consider the peacock fern.